The thrust given to rural and infrastructure sectors will have a multiplier effect on the economy but the Budget has failed on the corporate taxation front, India Inc said on Monday. 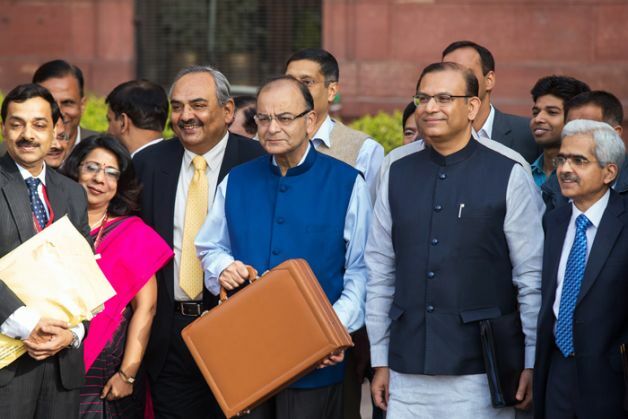 "The Union Budget continues to rightly focus on rural and infrastructure sector. The planned investment in these two critical sectors will not only create jobs but also give impetus to demand generation and economic growth," Walmart India President and CEO Krish Iyer said. However, Ficci President Harshvardhan Neotia said, "Corporate tax rate reduction was something that we were looking at ... a clearer roadmap on how it is going forward...Going forward, we expect some clarity on how the exemptions will be eased out." "There was a lot of debate when Finance Minister Arun Jaitley talked about reducing it (corporate tax) to 25%. I don't believe anything has been done on that but he has got a four-year window for it," CII President Sumit Mazumder said. "He (Jaitley) has not reduced corporate tax at all this year except for very small firms," CII President Designate Naushad Forbes said. Assocham President Sunil Kanoria said rationalisation and simplification of tax rates would have benefitted the overall ease of doing business, especially keeping in mind that GST implementation seems to have been pushed ahead. Recalling his last year's promise of reducing corporate tax from 30 to 25% over a period accompanied by rationalisation and removal of exemptions and incentives, Jaitley today limited accelerated depreciation provided under I-T Act to a maximum of 40% from April 1, 2017. The benefit of deduction for research would be limited to 150% from April 1, 2017 and 100% from April 2020. "Overall, I would say (the Budget is) pretty good," Bajaj Auto Limited Chairman Rahul Bajaj said. PHD Chamber President Mahesh Gupta said the Budget's focus on rural India would go a long way to generate demand in the economy and give a push to overall growth and development of the country. To boost domestic manufacturing and job creation, Jaitley allowed new units incorporated on or after March 1, 2016 an option of being taxed at 25% plus surcharge and cess, provided they do not claim profit-linked or investment-linked deductions. He also proposed lower corporate income tax rate for next financial year for relatively small enterprises with a turnover not exceeding Rs 5 crore in fiscal 2016 to 29% plus surcharge and cess. At present, they pay 30% plus surcharge and cess.